Undergraduate researchers are strongly encouraged to present their work at either an on-campus conference, a professional conference or by publishing their results in a peer-reviewed paper. Ask your research group for recommendations for appropriate conferences/journals to showcase your research. Keep in mind that your research group must approve any work that you plan to present. The Journal of Undergraduate Science and Technology (JUST) is an interdisciplinary journal for the publication and dissemination of undergraduate research conducted at the University of Wisconsin-Madison. The bi-annual research journal is written and administered by undergraduates with the help of faculty, staff, and graduate advisers. 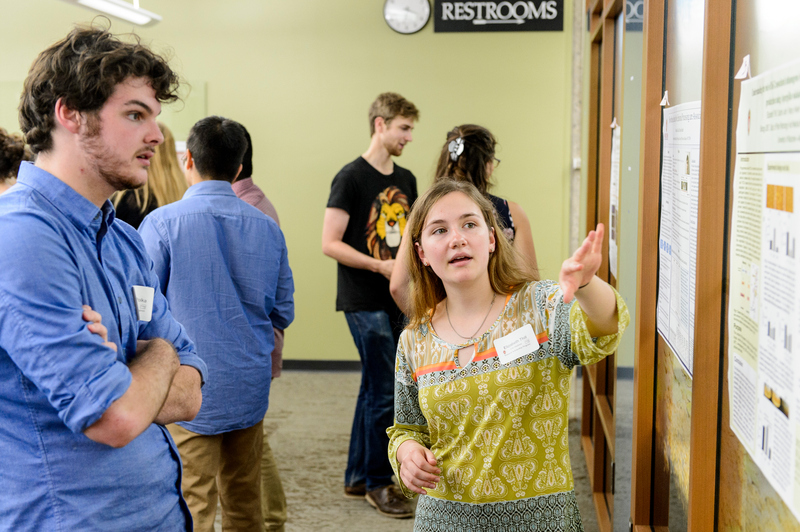 Every Spring, all UW-Madison undergraduate researchers are invited to showcase their creativity, achievements and talents across all disciplines through oral presentations, poster sessions, exhibitions, film shorts, artist talks, and performances. The conference is held at Union South and often showcases work from more than 600 undergraduate students. The Department of Chemistry invites all undergraduate researchers in the chemical sciences to showcase their work at the annual Chemistry Poster Symposium. The symposium is typically held at the end of April–the call for abstracts is send out via email mid-March. The Department of Chemistry Undergraduate Research Travel scholarship awards amounts of $200 – $400 twice a year to chemistry majors who would like to attend an off-campus professional research conference. For additional details regarding this competitive Scholarship, please contact the Chemistry Undergraduate Research Director.